Financial performance and growth are covered by our strategic objectives, they are addressed by our three strategic levers in the short to medium term, and financial is one of the capitals. Relevant targets for economic performance are set and progress reported externally. Direct economic value created for stakeholders is reflected in the Value added statement, and should be considered with our corporate social investment and enterprise development initiatives. Externally direct economic impacts are reported twice during a financial year, at interim results (March) and the final results (September). This aspect is covered extensively in the group’s annual integrated reporting which includes detailed financial reporting together with external assurance. The group has developed an Intrinsic Value Model that highlights the operational and financial value drivers that are key to leveraging returns and optimising financial performance within our business. 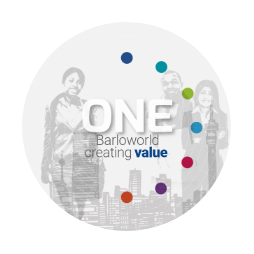 These aspects are addressed Value Added Statement contained in the Barloworld 2018 Integrated Report. Barloworld has identified risks and opportunities associated with climate change and financial implications thereof. These, together with the group's responses to the identified risks and opportunities, are disclosed in its responses to the CDP Climate Change 2018 and the CDP Water 2018 disclosures which can be viewed at https://www.barloworld.com/. Through its responsible citizenship programme and strategic objectives, including Drive profitable growth, the group considers the significance of such risks and opportunities in its strategic planning process and operational plans. Given Barloworld's reliance on motor vehicles, plant and equipment (currently predominantly fossil-fuel based technologies) as a core part of our business, these risks could be significant, potentially contributing to an increased cost base and decreased revenue. There are also opportunities for competitive products and solutions with reduced carbon footprints. No significant financial assistance was received from government. If any, assistance is generally applicable in terms of legislation and across the relevant industries. It is principally in the context of training allowances and reimbursements from government such as Sector Educational Training Authorities (SETAs) in South Africa, or various allowances under taxation legislation.